AliveColors is comprehensive graphics and photo editing software for Windows and Mac. 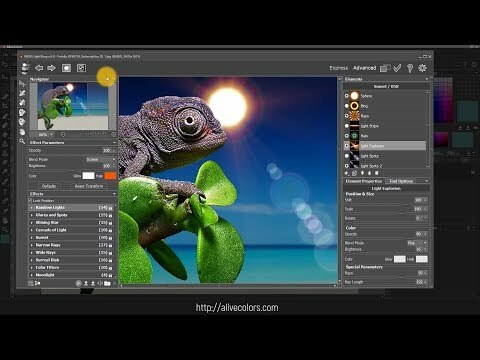 AliveColors is a versatile image editor for Windows and Mac that has been tailored to meet the needs of both professional and keen amateur photographers. This powerful layer-based software is an all-in-one solution for photo editing and optimization, image stylization and graphics design, converting image formats and performing image quality adjustment, as well as RAW processing, working with pressure sensitive graphic tablets, and much more. AliveColors comes in versions Free/Home/Pro, with differing levels of functionality. Users have a choice between lifetime licenses ($ 49/$ 160) and subscription options ($ 2/ $ 5). One time purchase ranging between $49 and $160, and / or subscription that costs between $2 and $5. Price may vary depending on commitment and so on. AliveColors was added by J0y in May 2018 and the latest update was made in Sep 2018. The list of alternatives was updated Apr 2019 There is a history of all activites on AliveColors in our Activity Log. It's possible to update the information on AliveColors or report it as discontinued, duplicated or spam. 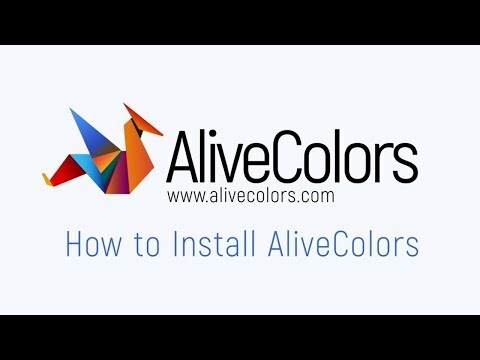 Alternatives to AliveColors for Windows, Mac, iPhone, Android, Web and more. Filter by license to discover only free or Open Source alternatives. This list contains a total of 25+ apps similar to AliveColors. No reviews yet for AliveColors, want to be first? Maybe you want to be the first to submit a comment about AliveColors? Just click the button up to your right!